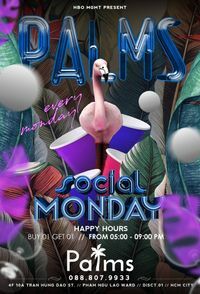 Expand your contact and get socialised at Palms Cafe! Bring your colleagues and friends for some cold beers and cocktails! Happy Hours from 5 to 9 pm!